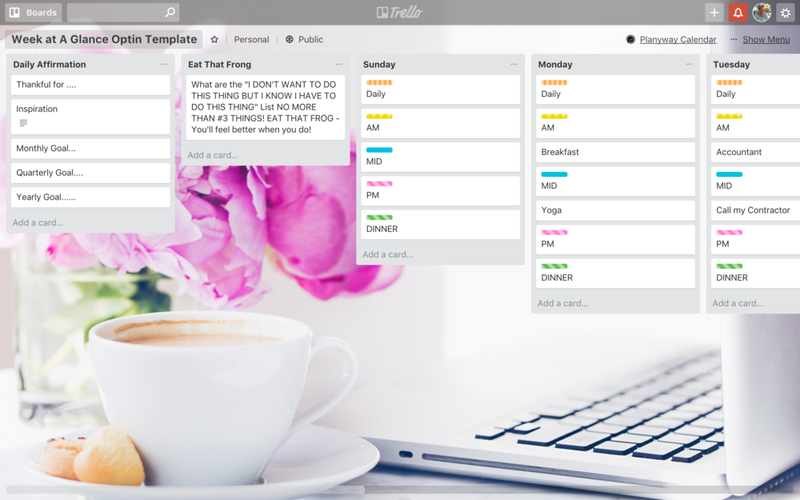 I recommend using Trello, a free digital project management tool. To access your board, please click on the button below. Week at a Glance board to use over and over again!